Party right here at the Dartford Greek Taverna! 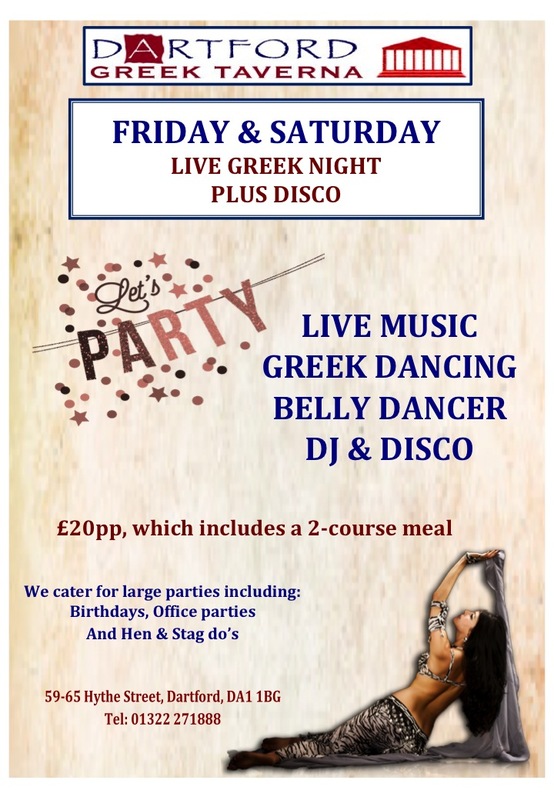 we have live music, belly dancer, Greek dancing and Dj disco, to enable you to party the hours away after having tried our fantastic Greek menu! Open from 7:30pm till 12:30am. We have an extensive menu to choose from, try something new today! 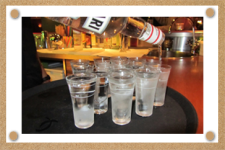 We carter for large parties including birthday's, office parties and hen and stag nights. To book a table with us we will require a £50 holding deposit upon booking (for tables of 5 and over) and then a £10 per person deposit will be required 2 weeks prior. We're always receiving bookings for our Saturday Greek nights so we would recommend booking well in advance to avoid disappointment. Please contact us today to book your seats for your special occasion.